The perfect combination of beautiful lace and flowing chiffon! The Erica features a fitted lace bodice with color-matched lining, round neckline, half-sleeves and a flattering a-line chiffon skirt. 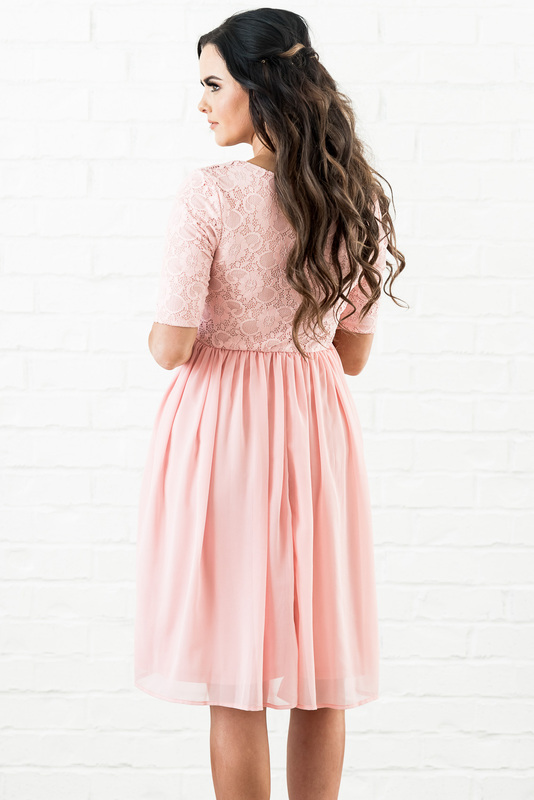 The Blush Pink color is perfect for any special occasion or event, including prom, graduation, weddings & more! It would make a perfect modest bridesmaid dress, and also looks great to wear to church or out on a date!